Welcome in the New Year with a 3 course celebration dinner followed by a moonlit cruise on the River Thames. Dinner is served at Cafe Rouge, and also includes a glass of wine per person with dinner. After the short trip to your departure pier, soak up the on-board atmosphere and stunning views of London. Away from the hustle and bustle of the embankment, celebrate with a glass of sparkling wine at midnight while enjoying your place at the very heart of the party. Don't miss this opportunity to see London's world famous firework display over the London Eye, while beating the crowds on the biggest night of the year. Make your 2018 New Year's Eve one to remember and create memories with friends and family that'll last a life time! Sorry - this product is currently not available online. If you have questions about booking this event, or would like further information on this product please complete and submit the form below. Our customer service team will use the information you provide to respond to your query as promptly as possible. 00:00 - Happy New Year! Please note that you must make your own way from the restaurant to the pier. All details are subject to change. All pictures are for illustration purposes only and do not necessarily represent the event. Please note that boat departure will be prompt. The boat cannot wait for latecomers. 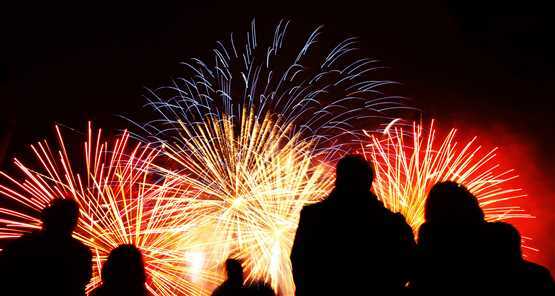 The London Fireworks display is to be confirmed by the Mayor of London. Whilst every endeavour to achieve a view of the fireworks will be made the positioning of the boat is entirely at the Captains discretion based on tides, river conditions or any other circumstances relating to the evening or advice received from the authorities. Please note that the Thames Clipper is not a Disco Cruise it is a Sightseeing Cruise however there will be background music. A cash bar will be available on the sightseeing cruise. Given that the cruise is a sightseeing one it will have a limited amount of non allocated seating. This cruise is accessible for 2 wheelchair users. If any of your party requires wheelchair access please contact us prior to your booking. Please note we can only guarantee individuals will be booked on the same package if they book as a whole group. Guests may be seated on shared tables for dinner. If individuals arrive late for the meal then it may be necessary to forfeit a course in order to board the boat on time.